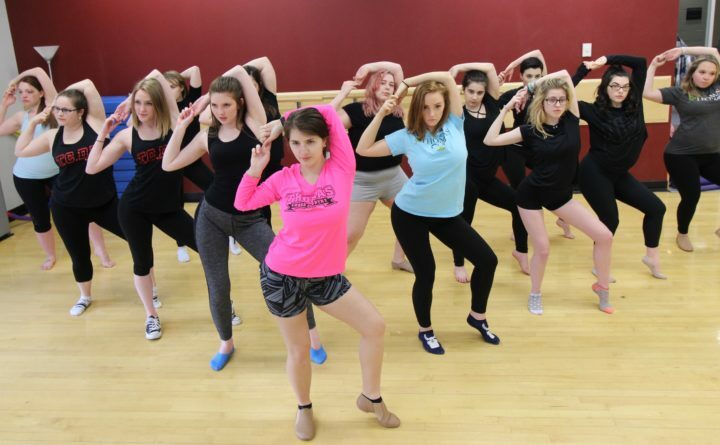 WATERVILLE, – Thomas College Dance Team will host its spring showcase “Lose Yourself” on April 19 and 20 at 7 p.m. in the Ayotte Auditorium at Thomas College. The event is free and open to the public. Fourteen Thomas students will be performing several different styles of dance including hip-hop, contemporary, improv, pointe and more. The performance will showcase their year’s long, hard work of routine practices. Students Stevo Reid and Kyle Greene will host the event. The show is directed by local Dance Team Director Michelle Casavant. “The best thing about dance is being able to express yourself, and a lot of young girls find themselves through dance. So, we named the showcase ‘Lose Yourself’ because we are going to lose ourselves in the motion of dance,” said dance team member and Thomas College student Natalie Corrigan of Oakland. Corrigan has been dancing since she was a child and says it’s been a great way to get through stressful times and a place to meet friends.